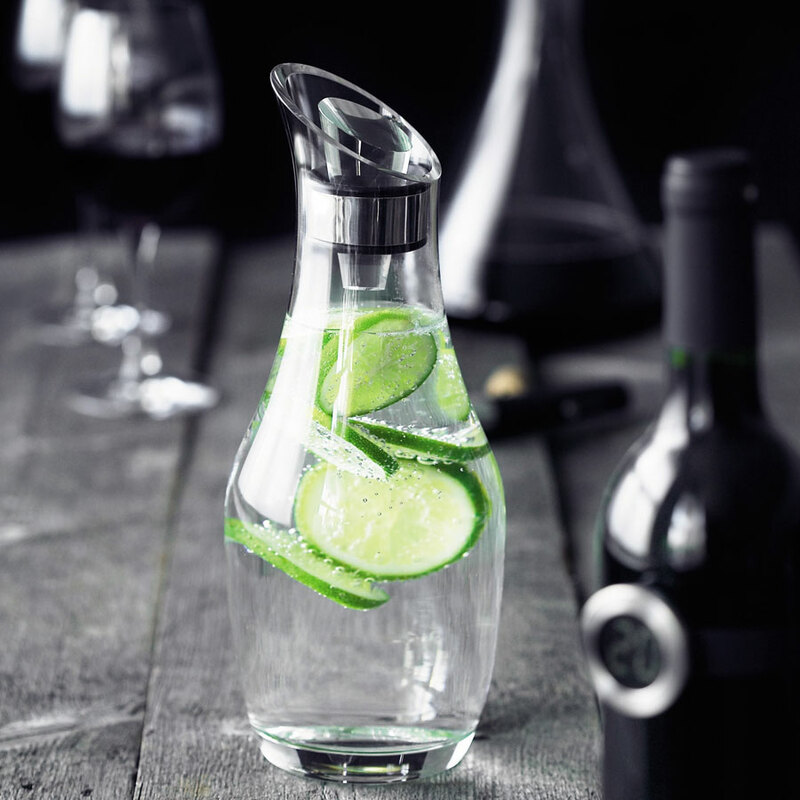 This elegant and versatile carafe by MENU can be used for both wine and water, and will quickly become the carafe you cannot live without. Designed to fit neatly on the refrigerator door shelf, the carafe's tight-fitting stopper prevents water from acquiring taste from the refrigerator. The slanted funnel-formed opening makes it easy to pour from wine bottle to decanter. 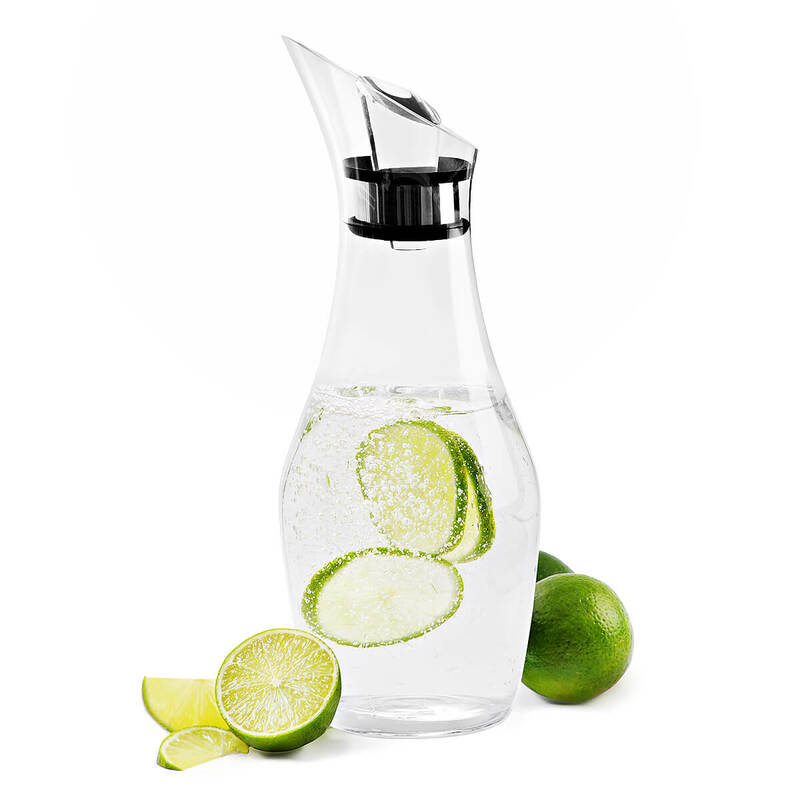 Presented with a trio of fresh limes for making delicious chilled water with a hint of citrus.